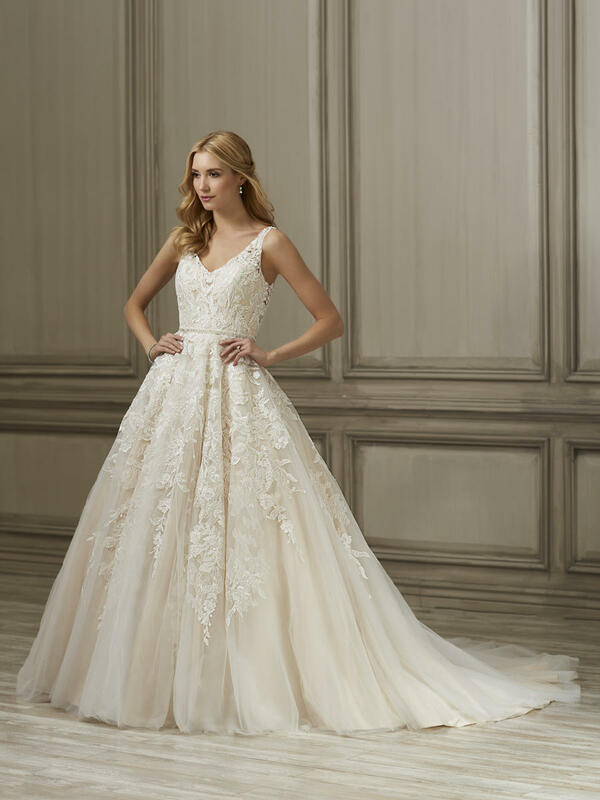 This classic tulle ballgown has a flattering V neckline that has been covered in beautiful, floral lace appliques. The updated, illusion back opens and closes with buttons and loops. The circle cut skirt has lace that begins at the waist and fades as it reaches the hem. The waist is finished with a delicate beaded belt.